Mother nature was on Kristin and Frank's side. Around 1pm it was pouring and the sky was so dark, by 6pm, it was a beautiful day in Miami. 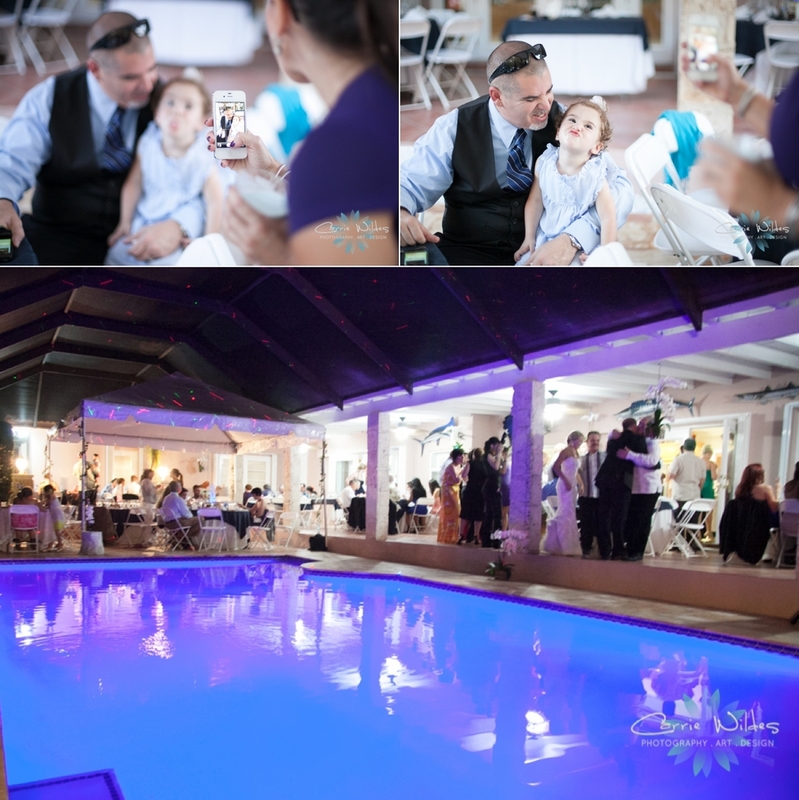 Frank and Kristin traveled from Tampa to Miami, to his parents' private residence to host their special day. They met in Tallahassee doing a law school internship. Only two people from each school are were chosen for that program, Frank went to Penn State and Kristin went to Stetson, it couldn't be any more meant to be than that! The ceremony was on the outside lawn with the trees draped in sheer fabric and white chairs lining the isle. Frank wore monogrammed initial cufflinks on his shirt that were a special wedding gift. Her ring was his mom's, and his ring was her grandfather's. The centerpieces were stacks of law books from the couples library. Tall vases of orchids in water with light dressed the tops of the books. The cake even had a crystal gavel as the topper and "Judicial circuit of law" paperwork also adorned the tables. They had 5 different signature drink concoctions and their guests partied the night away on the pool deck! Congrats Kristin and Frank it was amazing! !